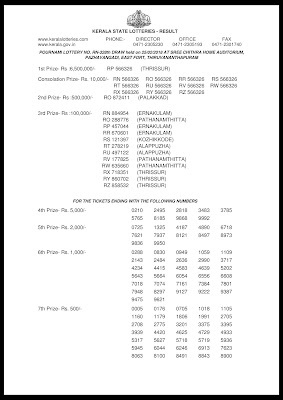 Today Kerala lottery result is Pournami lottery RN 328 lottery result. Kerala lottery department held the draw of 328th pournami lottery at sree chithra home auditorium at 3 pm. 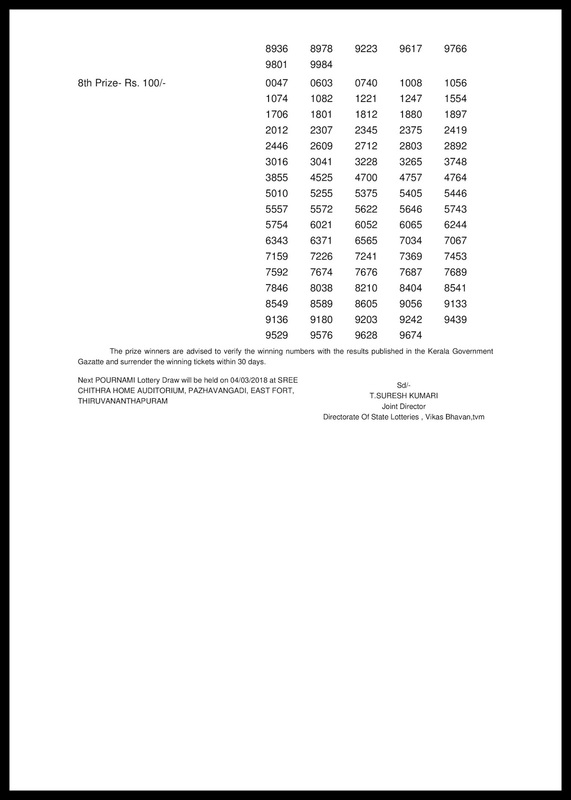 The live result will be updated here at 3.05 pm and the official result at 4 pm. 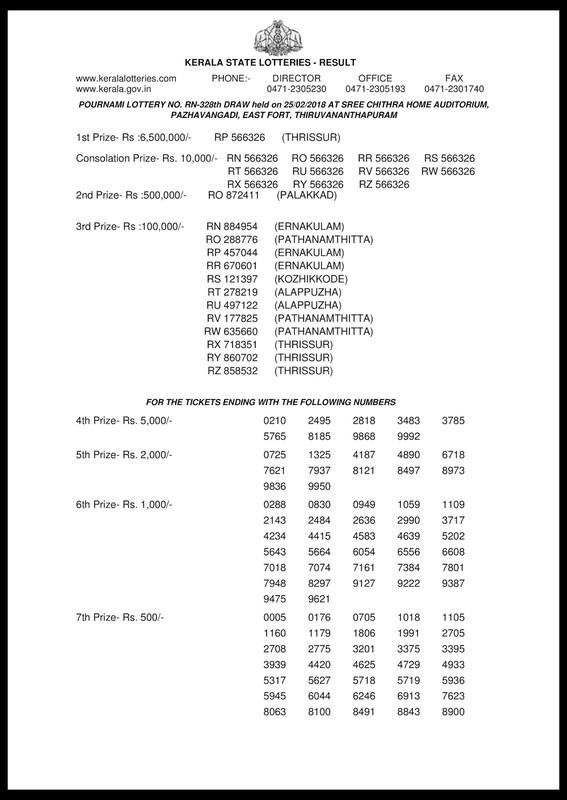 After the announcement of kerala lottery result pournami lottery we will publish the official result and the pournami lottery result official pdf will be updated soon. 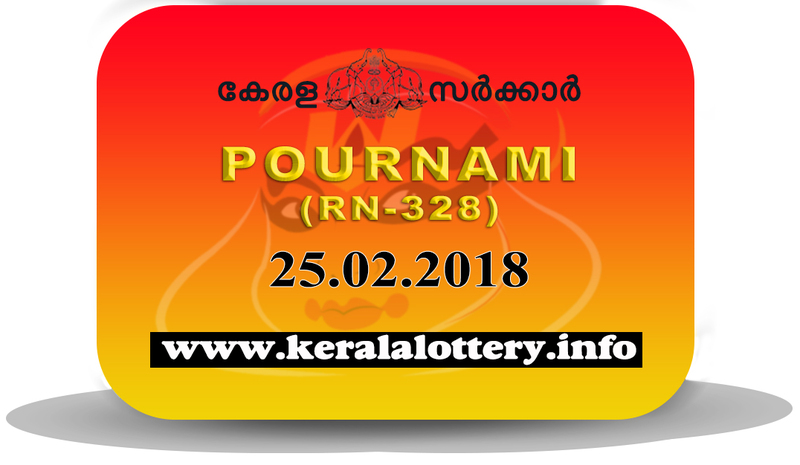 Today 25.02.2018 kerala lottery draw pournami rn 328. 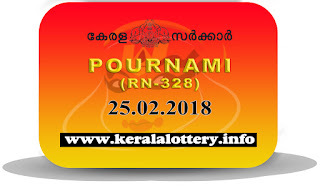 Kerala lottery result Pournami RN 328 on 25-02-18 will published after 3 pm. 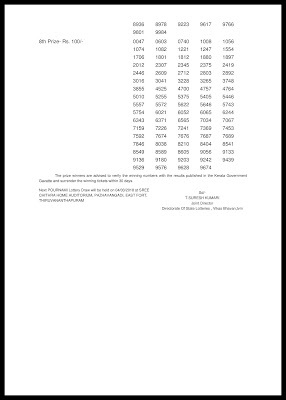 Pournami rn.328 result will be published at 3.45 pm as same as in the official website. Also there will be a live update for the first prize at 3.05 pm. Refer the official site for furher clarification. For instant updates please click on the refresh button.